Bangkok, Thailand, 21 September 2017 – Leading international exhibition organiser, INFORMA, has joined forces with IMPACT Exhibition Management Co., Ltd., for the fourth year to bring back a record-breaking edition of Beyond Beauty ASEAN-Bangkok (“BBAB”,) from September 21 to 23, at Challenger 3, IMPACT Exhibition & Convention Center. With strong support from The Federation of Thai Industries; Thai Cosmetic Manufacturers Association; Thailand Convention and Exhibition Bureau; Thai Ministry of Commerce; KINTEX; Embassy of Korea; and all supporting partners, BBAB is set for a successful edition this year. 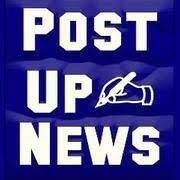 More than 20,000 trade visitors are expected to attend the three-day trade show. “BBAB has been a great achievement for Informa Beauty. We are building and developing the platform to federate ASEAN cosmetics market with more international perspective.” said Ms. Claudia Bonfiglioli, General Manager, Informa Beauty. “This fourth edition of BBAB will gather the industry’s leading players from across the world, to fulfill their trade, networking, sourcing and knowledge exchange needs. This event has positioned Thailand as an important hub for ASEAN’s beauty and cosmetics industry and serve as the gateway for international companies to tap into the lucrative beauty market of ASEAN. BBAB 2017 is expected to attract over 20,000 trade visitors and buyers globally, with over 2,000 matched one-to-one meetings scheduled between our exhibitors and key buyers,” said Mr. Loy Joon How, General Manager, IMPACT Exhibition Management Co., Ltd.
“Thailand is the largest manufacturing base in ASEAN and ranked 17th worldwide in exporting and manufacturing cosmetics products. 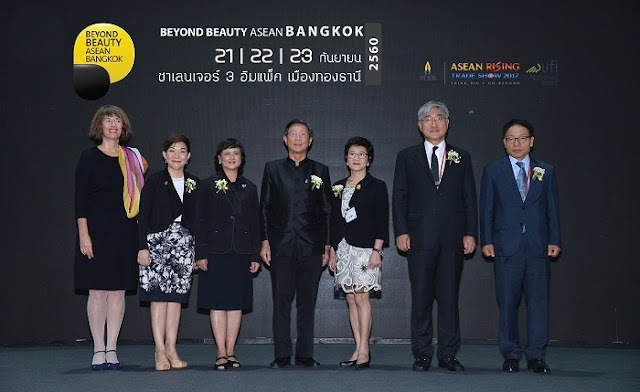 I believe BBAB is a great opportunity to promote Thailand as a hub for the ASEAN Health and Beauty markets,” added Deputy Secretary - General and Honorary Chair of Cosmetics Industry Group, The Federation of Thai Industries (F.T.I) and President of Thai Cosmetic Manufacturers Association. National pavilions, including China, France, Germany, Indonesia, Japan, Korea, Malaysia, Poland, Singapore, Spain, Taiwan and Thailand are participating and showcasing qualified brands, products, technology and innovations to the ASEAN market. Supported by Thai Lanna Spa Association, BBAB 2017 is honored to present Pevonia, a global leader in spa skincare products and treatments and I Plus Q Co., Ltd. -House of Aromatherapy from Thailand, to lead a conference on SPA & Wellness. A selection of international and local speakers will lead a conference program specially designed to explore the upcoming beauty trends in the world. In collaboration with InFASH, Thailand institute of Fashion Research (part of INTERCOLOR), this conference features fashion, color forecasts and concepts. Beyond Beauty ASEAN-Bangkok 2017 will feature the 1st ASEAN Beauty Retail Conference, with a rich program of two days on September 21 and 22. Distributors, retails and beauty salons gather to discover better collaboration with invited international and local brands. Supported by the Permanent Makeup Association Thailand (PMAT), this competition aims to enhance the skills of permanent makeup professionals, as well as to encourage improvement in the quality of industry services and advance profession prestige. It provides an excellent opportunity for technicians who wish to share experiences and discover variations in techniques and to demonstrate their own skills. Thailand is recognized worldwide for its infinite scents, aromas and flavors. This year, once again, international design agency, centdegres, and Firmenich introduce an astonishing olfactory experience at BBAB. The two industry experts share their expertise on how ASEAN Beauty brands can create successful innovative beauty brands. They will also share their expertise in branding, design, scents and innovation. Cooperating with Thailand Center of Excellence for Life Sciences (TCELS) and Thailand Institute of Fashion Research (inFASH), BBAB is launching the “Beauty Technology Incubator zone” as a highlight of the show. It showcases innovative, developed and certified formulas and products from all beauty areas including skin care, cosmetics, aesthetics and dermatology. Creative ideas in research and development from top universities’ research centers, merchandise patent and certified innovative ideas are featured. BBAB 2017 is pleased to present Beyond Beauty Salon Café, a platform to showcase products and services from hair profile exhibitors. Buyers and visitors are able to discover and experience hair-related products in a casual and interactive environment. The Centre for Leveraging Thailand’s Industrial Development in the Global Arena. F.T.I. is the private sector administrative juristic person to serve as the core organization and also as the centre for all Thai industries in the kingdom. It is a non-profit organization with the main duties of promoting and supporting the industry focusing on both developing sustainable growth for all industrial operations in the country. F.T.I. is the core centre in the following four areas: Centre of industrial co-operation among and with private sector and government sector in Thailand and abroad, Service centre for all industrial developments, activities centre for all industrial operators & Problem-solving centre for all industrial enterprises in the kingdom, both member and non-members regardless of sizes and types. Under F.T.I. Act, 1987 it is empowered to perform the duty of representing private sector in the industrial sector of Thailand. Informa GE is a business division under Informa PLC (a FTSE 100 company), organizing 250 trade exhibitions globally every year, with strong resources and brands in Beauty, Construction, Design, Life Sciences, Maritime, Neutroceuticals, Pop Culture and Real Estate verticals. Informa GE has become world top 3 exhibition organisers. IMPACT Exhibition Management Co., Ltd. is the leading exhibition organizer in Thailand. IMPACT organizes and manages professional trade and public exhibitions, conferences, meetings and trainings, working in hand with international trade associations, organizers and corporations across a board spectrum of industries. We create effective market platforms and offer a comprehensive range of turn-key event management solutions ranging from market research, exhibition and visitor promotion and sales, advertising and promotion, public relations, operation to on-site logistic management for exhibitions and conferences of all sizes and industries. www.impact.co.th. UFI is the association of the world’s leading tradeshow organizers and fairground owners, as well as the major national and international exhibition associations, and selected partners of the exhibition industry. UFI’s main goal is to represent, promote and support the business interests of its members and the exhibition industry. UFI directly represents around 50,000 exhibition industry employees globally, and also works closely with its 55 national and regional associations members. 691 member organizations in 85 countries around the world are presently signed up as members. Established by Royal Decree in 2002, the Thailand Convention and Exhibition Bureau (also known as TCEB) is a public organization tasked with promoting and developing business events in Thailand. Since 2004, TCEB has worked toward establishing Thailand as Asia's premier business events destination, by providing flexible, service-oriented support to meeting-goers, incentives winners, convention attendees and exhibition participants. Chief Minister of Yangon Region visits Myanmar Livestock Development Training Center.